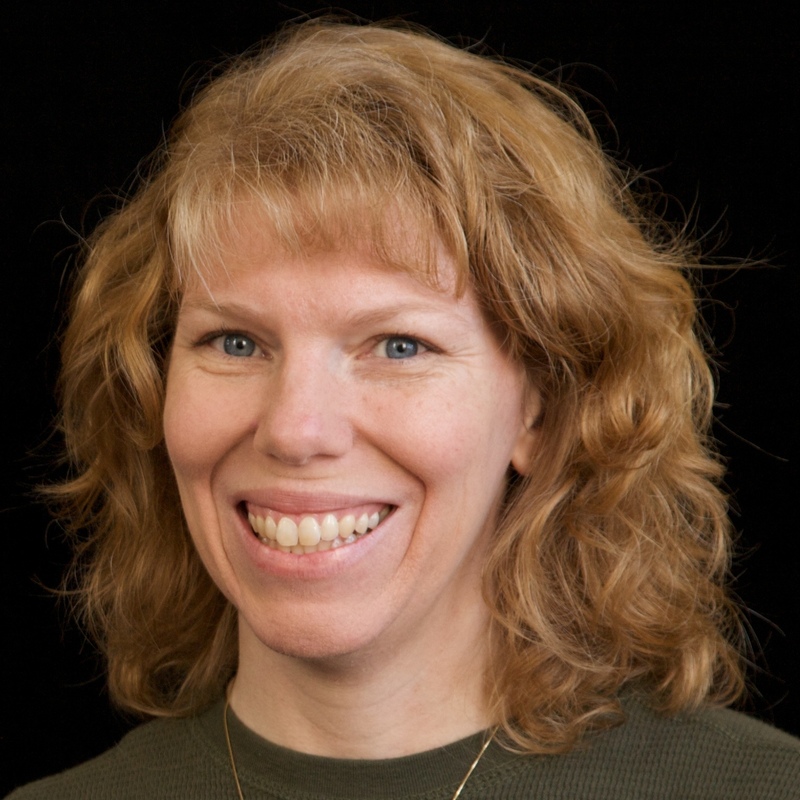 I didn't have too many ideas of what new-to-me foods I wanted to try when I began my birthday challenge. 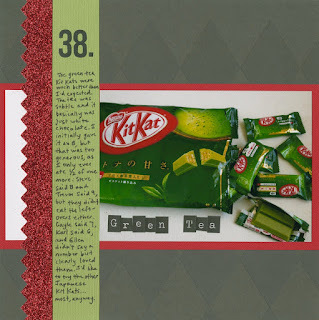 But it was fairly early on in the Googling that I came across something I definitely wanted to try: Green Tea Kit Kats. I'm not sure why, as I don't like green tea. But I kept seeing them mentioned as something you HAVE to try when visiting Japan and the top request people ask them to bring back from Japan. With no friends heading to Japan and no plans of my own to go there any time soon, I didn't expect to get to try them this year. So I was thrilled when I saw them at an Asian market. 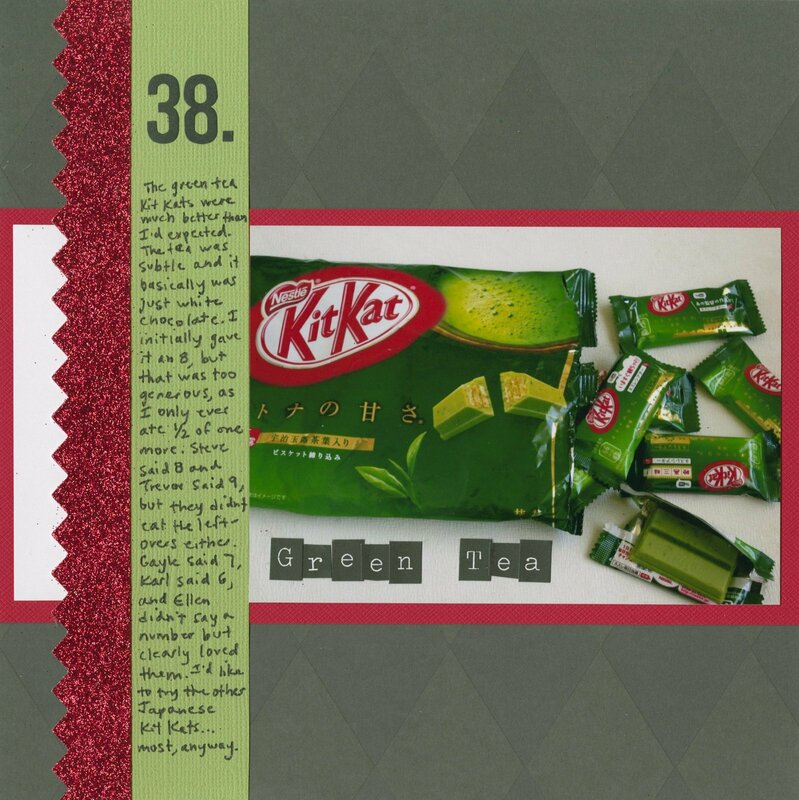 Literally the day after I bought them, I came across this blog post entitled, "The Shocking Secret of the Green Tea Kit Kat." Which type did I have? I was partly hoping it was the type meant for foreign taste buds (since I don't like green tea), but the fact that I got it at an Asian market suggested it might have been intended for Asian taste buds. We shared them with our friends, Karl and Gayle and their daughter, Ellen. Gayle is Japanese (though born in the US) and likes mochi, which I despise. Would she and I agree on the Kit Kats? Answer: sort of. I was pleasantly surprised that the green tea taste was so weak it was virtually undetectable. It basically tasted like a white chocolate Kit Kat, which is to say inferior to a regular chocolate Kit Kat, but still tasty enough. I gave it an 8, as did Steve. Trevor gave it a 9. Karl was less enamored and gave it a 6. Gayle was also surprised that the green tea taste was so weak, which was the very reason she gave it a 7 instead of a higher rating. Ellen didn't rate them, but she clearly felt very positive about them, based on her interest in continuing to eat them. I've since learned that green tea is only the tip of the iceburg when it comes to Japanese Kit Kats. I desperately want to try some of the others, like the Citrus Golden Blend, the Pear, the Cinnamon Cookie and the Brown Sugar Syrup. I'm on the fence about Red Bean Sandwich Kit Kats because, while I know that I would HATE them, I would enjoy finding out just how awful they are. Hook me up if you happen to travel to Japan, please! I love Green Tea and Kit Kats so I would love to try these, although it sounds like I would be disappointed! The other flavors sound good too! When you find someone to hook you up, tell them to buy me some too! LOL! Ha! I love green tea everything...so I guess I wouldn't like the green tea Kit Kat. That is available in Singapore too. I'll check to see if they have the other exotic flavours you want to try. What a fun thing to try! It looks like a good St. Patty's Day treat! I like Green Tee and I like white chocolate Kit Kats so this would probably get a thumbs up from me. I love your sense of adventure. Cute layout too, Cindy.